Accessory Genie - Consumer Electronics and Accessories Industry News: Flex Alert! In perpetually sunny southern California we have a summertime phenomenon know as the "Flex Alert". You see the funny thing about the sun is that it makes the end of summer days intolerably hot. This causes everyone on the power grid to crank up the AC so as not to become an uncomfortably, and in the worst case scenario, an offensively, sweaty mess. Along with the AC running you have the fans, lights, refrigerators, computers, washing machines (for your sweat soaked clothing), dryers, flat irons, etc. all running constantly. This seasonal increase in electricity usage causes a tremendous strain on the power grids. The result of which is a rolling blackout. In order to prevent blackouts from occurring the California Independent System Operator (ISO) monitors the cosmos, the weather, the earth's core and just for good measure asks a magic eight ball "Will it be hot today?" If everything, especially the magic eight ball, says "yes, it will in fact be hot today", the ISO then imposes a Flex Alert. Which is essentially a plea to all consumers of energy to tone down their use and do what we should all be doing anyway. Which is turning of all unnecessary, lights, appliances, electronics, pinball machines, kegerators, hadron colliders, etc. At least until after 6:00 p.m. which is the official conclusion of peak hours. Of course there are certain things that need to be plugged in during peak hours for life to continue. For example, cellphones, smart phones, laptops, tablets, and ultra books to name the more important ones. So how, you might ask, can we have our electric slice of cake and eat it too? The answer to this dilemma is what is causing the problem to begin with, the sun. Flip the script on this paradox by using solar back-up batteries that harness the suns rays and power just about any device that's USB enabled. 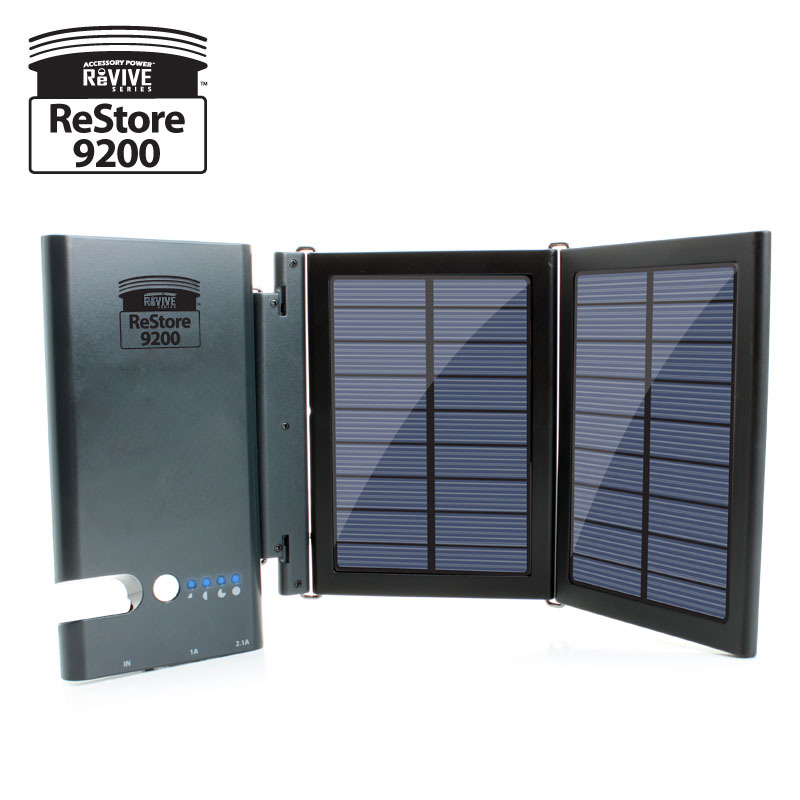 The Solar ReStore XL will charge a smart phone 3 times over, which is perfect after Angry Birds eats your battery life. Even more impressive is the new ReStore 9200 which can simultaneously charge a smart phone and a tablet. It doubles as a viewing stand and has an emergency LED flashlight which can run for 150 continuous hours to light up your surroundings in case there is a blackout. Both back-up battery packs can be charged during off-peak hours through any USB output. 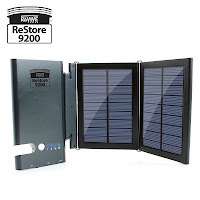 The Solar ReStore XL charges via direct sunlight through the front solar panel and the 9200 can be linked with a chain of add-on solar panels to transform it into a solar charger. So do your part and opt for solar when charging your devices, or else!